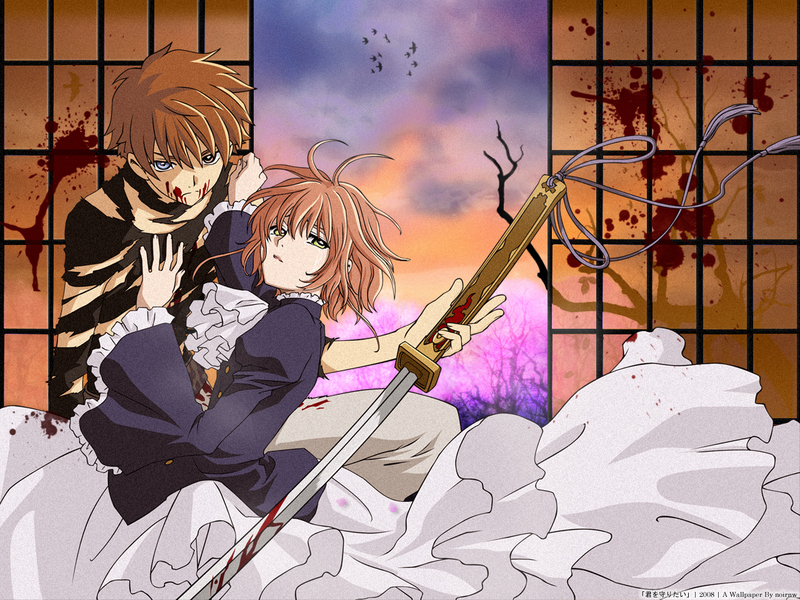 Wanting to wall this vector that I found awhile back, I decided to go for a somewhat Japanese feel since the image of Shaoran and Sakura is from Tsubasa Tokyo Revelations. I translated the title from some Tsubasa scan that I came across last time, which amounted to roughly 'I Wish to Protect You'. Unfortunately, it was my first attempt trying to paint/brush sakura trees and it did not turn out very well. If anyone has tips with regards to that, do let me know! love this pic! thanks for sharing it!